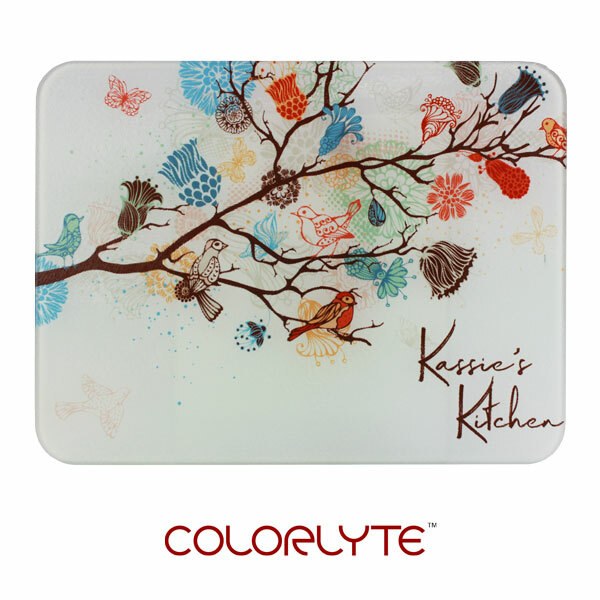 Spice up your customer's kitchen with a custom sublimated cutting board! Custom cutting boards are perfect for home chef's and restaurant owner's alike. 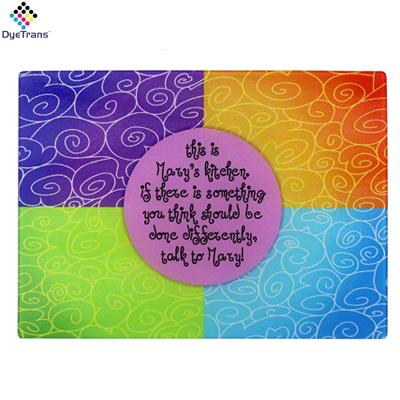 Imprint any image on our new specially coated glass cutting board. This functional, sanitary, and heat resistant glass cutting surface is ideal for slicing, dicing, and mincing in the kitchen. Tempered and coated. Includes self-adhesive rubber feet. 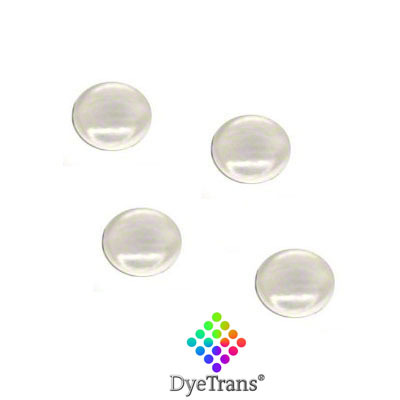 These beautiful glass items have a grain texture on the surface and an opaque white underside to accept the image. 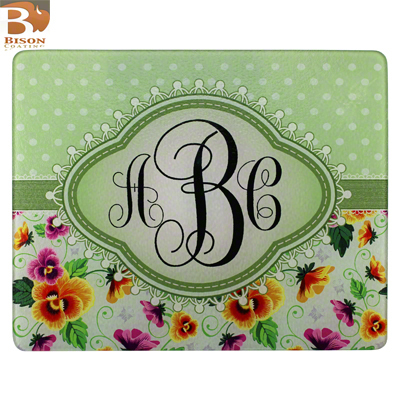 Custom decorators can imprint onto the underside to produce beautiful home accessories sure to enhance any decorating scheme! Dishwasher Safe, for maximum life of the imaged product, we recommend hand washing. 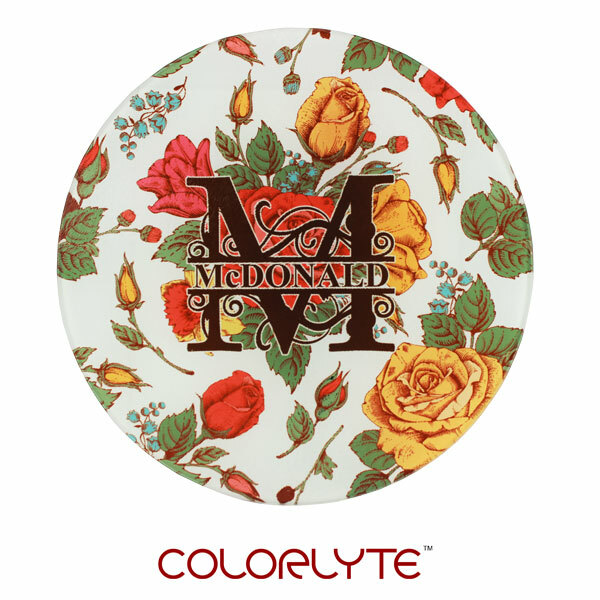 Dimensions: 7.87" diameter x .20"
Small Round ColorLyte® Glass Cutting Board, with White coated Sublimation Backing, includes Rubber Feet, 7.87" diameter x .20". Sold in increments of packs of -4- only. Tempered Textured Chinchilla Finish glass; excellent gift item. Dishwasher Safe, for maximum life of the imaged product, we recommend hand washing. 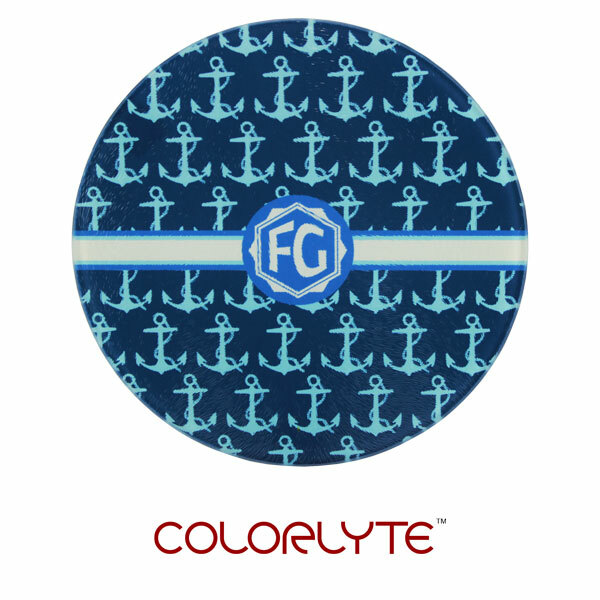 Dimensions: 11.81" diameter x .20"
ColorLyte Sublimation Blank Cutting Board - 7.87" x 11.81"
Dimensions: 11.81" x 7.87" x .20"
ColorLyte Sublimation Blank Cutting Board - 15.75" x 11.8"
Dimensions: 15.75" x 11.8" x .20"
IronClad Sublimation Blank Cutting Board - 11.81" x 15.75"
Dimensions: 15.75" x 11.81" x .20"
Cutting Board, Small Round, 7.75" x .188". 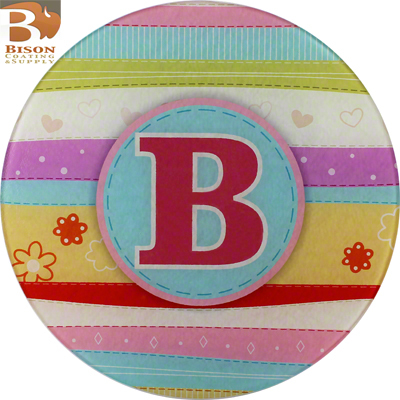 Bison® Sublimation Glass, White Backed, Pebble Texture Tempered Glass; Includes self-adhesive rubber feet. Dishwasher Safe. MADE IN USA. 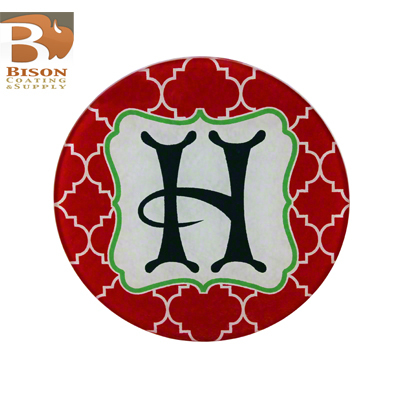 Cutting Board, Large, Round, 12" x .188", Bison® Sublimation Glass, White Backed, Pebble Texture Tempered Glass; Includes self-adhesive rubber feet. Dishwasher Safe. MADE IN USA. 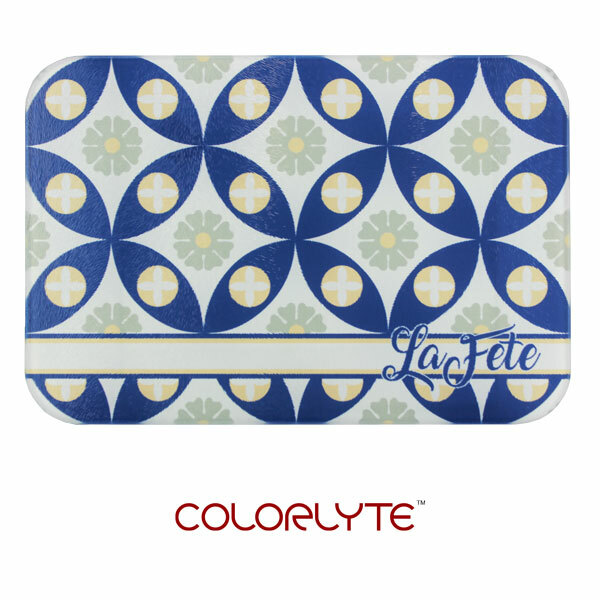 Dimensions: 10.75" x 7.75" x .188"
Cutting Board, Small Rectangle, 10.75" x 7.75" x .188", Bison® Sublimation Glass, White Backed, Ripple Tempered Glass; Includes self-adhesive rubber feet. Dishwasher Safe. MADE IN USA. Acrylic display blocks, sold separately. Dimensions: 15" x 12" x .188"
Cutting Board, Large Rectangle, 15" x 12" x .188". 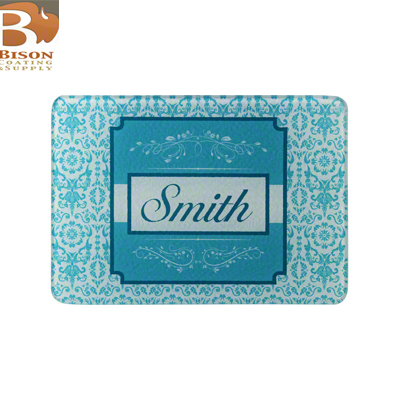 Bison® Sublimation Glass, White Backed, Pebble Texture Tempered Glass; Includes self-adhesive rubber feet. Dishwasher Safe. MADE IN USA. Acrylic display blocks, sold separately. 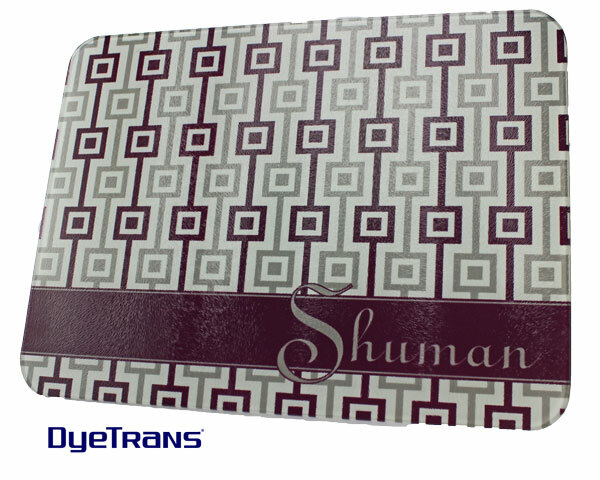 DyeTrans Sublimation Blank Cutting Board - 7.9" x 11.1"
Dimensions: 11.1" x 7.9" x .15"
DyeTrans Sublimation Blank Cutting Board - 11.25" x 15.375"
Dimensions: 15.375" x 11.25" x .15"